HAVING a party for friends is supposed to be fun. But that may not necessarily be true for the hosts, who do the planning and then often feel that they must make sure everyone is having a good time. David Noto, who owns Altaneve, a producer of prosecco, said he had found himself in that situation all too often. Several years ago, Mr. Noto decided to host two parties that could reasonably be called quirky. In the winter, he invited friends to ice skate in Central Park — with everyone dressed in tuxedos and full-length ball gowns. 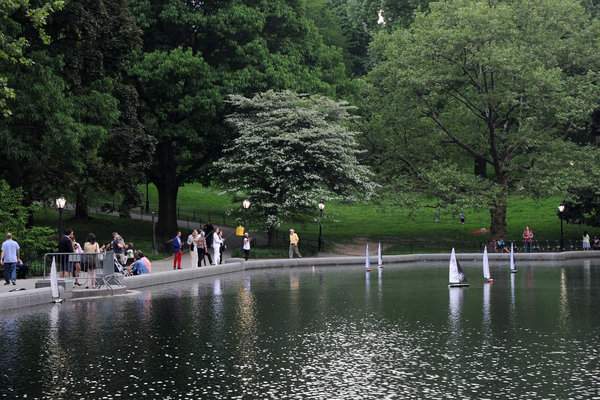 Come summer, it was remote-controlled sailboat racing at the park’s boat pond, with a live jazz band and prosecco liberally poured. Both were such hits with friends, they became annual events. Mr. Noto hired an event planner to coordinate his annual mini-regatta. “The cost, although notable, is somewhat more to me if I don’t hire someone,” he said. But instead of enjoying his parties, he worried about the little details, from running around to make sure his guests had what they needed to organizing the heats for the sailboat races. “In the three hours of the event, I had fun for two to three minutes,” he said. 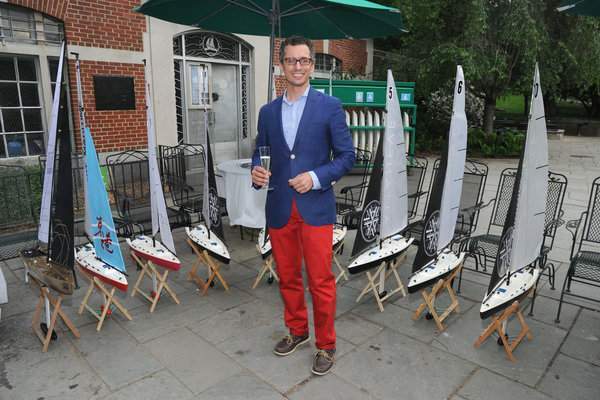 So this year, he hired an event planner to coordinate his mini-regatta. The help did not come cheap. It will cost him about $20,000, which was three times what he paid last year. “The cost, although notable, is somewhat more to me if I don’t hire someone,” he said. If you’re going to spend that kind of money — and many summer parties on the New York circuit will cost much more than Mr. Noto’s — you want to make sure your party is great. And many will turn to party planners to pull off what they can’t on their own. Harriette Rose Katz, founder of the Chosen Few, a membership organization of elite event planners, said her clients spend widely different sums for a great event. A first-rate cocktail party with hors d’oeuvres that are brought to guests by a server could start at about $350 a person, she said. In this circle, weddings begin at $500 a person, and the top social events can cost as much as $1,000 a person. Things can grow much more expensive when outfitting one’s home for a party. Steve Kemble, an event planner in Dallas, said he had one client who spent $20,000 for an acrylic cover to turn her pool into a dance floor and another who bought a $120,000 antique rock crystal chandelier and had it shipped from Italy for an event. Still, throwing money at a party doesn’t guarantee it will be a success. There are plenty of things either less experienced planners or budget-conscious hosts can overlook. Of course, it can cut both ways. One year, George Ledes, the chief executive of Cosmetic World and Beauty Fashion, said he sent out invitations for his annual Christmas party at Doubles, a private club in the Sherry-Netherland Hotel, but he forgot to tell the club’s manager. He only realized this when his wife, Christine, called the club about something else a day before the event. Once people are at your event, the party’s flow is crucial. This starts from the moment they arrive. “If you have to wait 15 minutes to valet your car, you’ll remember that,” Ms. Cove said. And it continues through the night. If people need to go upstairs, it’s best that they stay up there until the end, she said. When there is a bar, there should be one bartender and two assistants for every 50 people to keep waiting times short. And if someone has to sit for dinner, the chairs had better be comfortable. When Mrs. Katz gave a party to celebrate the newest renovation of her Upper East Side apartment, she had flow in mind when she held it over three nights, with 60 guests each evening. How a party progresses is also important. Bentley Meeker, a lighting designer and artist who said he had done 11,000 events in 25 years, said people often call their guests to something, like a cake cutting, and then make them stand around. The same goes for anyone who wants to make a speech or screen a video, no matter how moving. Both should be short, preferably less than three minutes. Mr. Meeker said people often cut corners on lighting and sound. The result can be guests, dressed to the nines, looking washed out, not glamorous. Without the right sound, the music can ruin the party. For most people, what makes a party memorable is the atmosphere created. Still, the quirks are often the ones that stand out. Mrs. Ledes said the most memorable party she threw was a Sweet 16 party. Her daughter was supposed to go to a concert at Jones Beach with friends, but it was canceled when New York City lost power one weekend in August 2003. Sitting with her daughter and her friends at the West Side Tennis Club in Forest Hills, Queens, Mrs. Ledes said she saw a group of young girls wandering around in cheerleading outfits. They had been heading into Madison Square Garden for a cheerleading competition but got stuck at the Forest Hills train station when the power went out. This year Mr. Noto isn’t looking for something so unforgettable. He just wants to enjoy his event. He is leaving every detail but the prosecco to the event planner. “I now get to enjoy the event and be with my friends,” he said. And that should be the goal with any party this weekend, regardless of the cost.